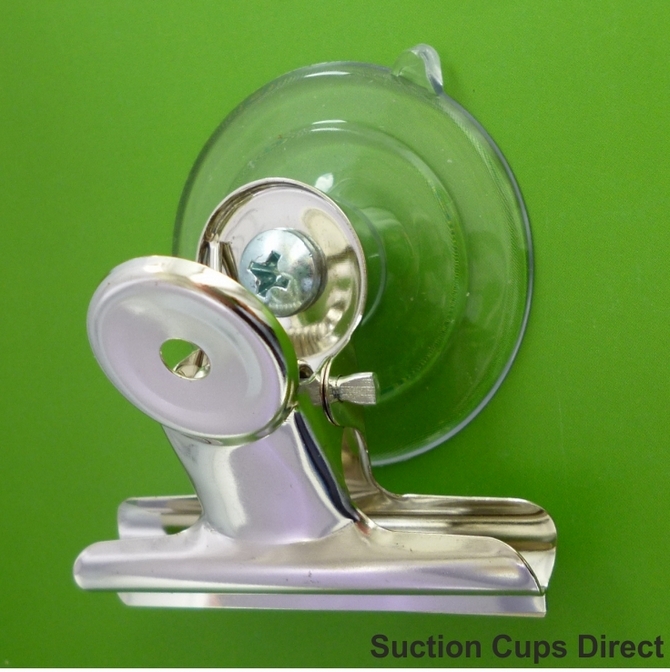 Bulldog clip suction cups. Suction Cups Direct. HOME >> Suction Cups. Bulldog clips >> Suction cup with bulldog clip. 47mm suction cup. 50mm wide clip. 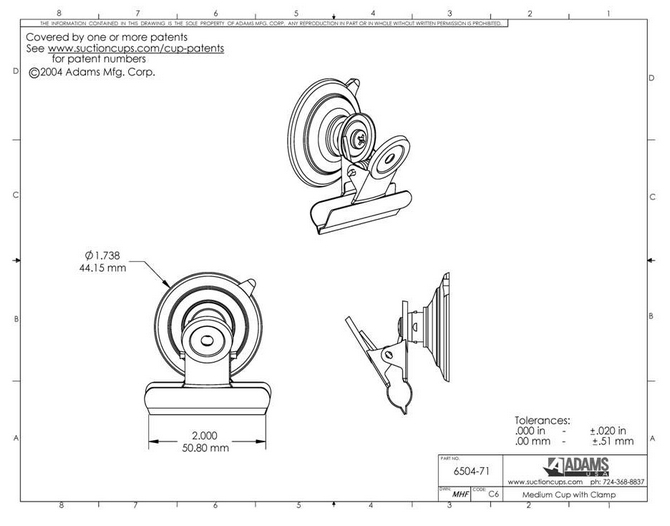 Adams 47mm diameter suction cups are rated to hold 3 pounds (1.36 kgs) in weight.